I’m so grateful for the time someone spent with me this afternoon – so patient – listening to my story – suggesting – clarifying – helping me to write my mihi – and more deeply – to connect with and claim my mihi as my own. 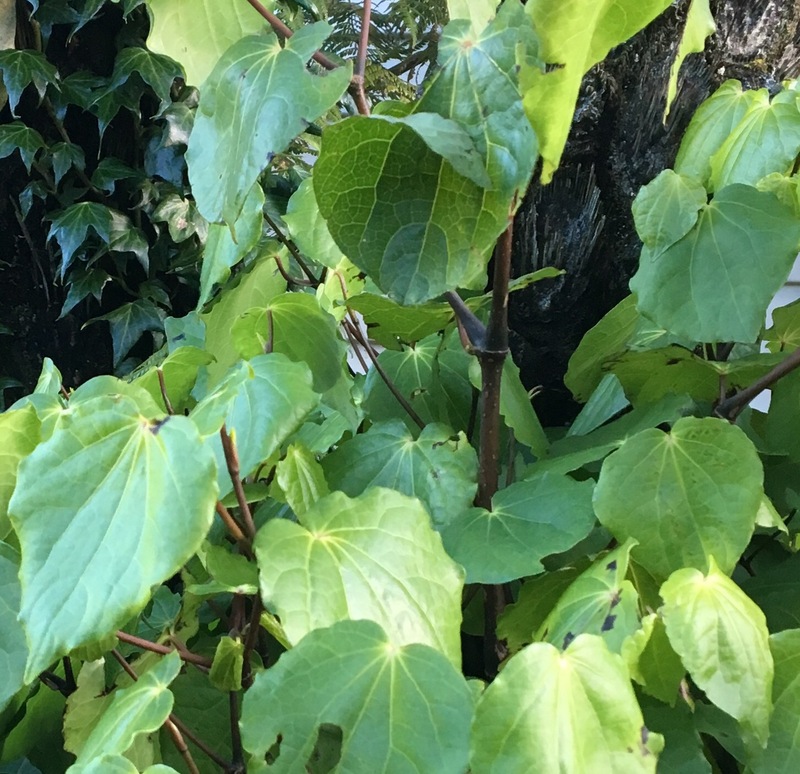 I came home – and stopped in front of this kawakawa bush – I was thinking about it yesterday and I knew the best thing would be to make tea from its leaves and let the past settle while I waited for it to steep. I sit now with my tongue tingling along with my heart. I was working on this almost three weeks ago, and was planning to post on Monday 14 November, the night of the supermoon. However, Sunday night, early Monday morning, New Zealand was hit by a major earthquake, and my notions of a benevolent moon seemed naïve and sentimental. I’ve been a bit distracted ever since. I never really finished this – but it fits with a few pieces that have emerged from the events of the last few weeks.